smtp_from = message['Return-Path'] or self._get_default_bounce_address() or message['From'] assert smtp_from, "The Return-Path or From header is required for any outbound email"
assert smtp_from, "The Return-Path or From header is required for any outbound email"
'''Compute the default bounce address. If "mail.bounce.alias" is not set it defaults to "postmaster-odoo". If "mail.catchall.domain" is not set, return None. 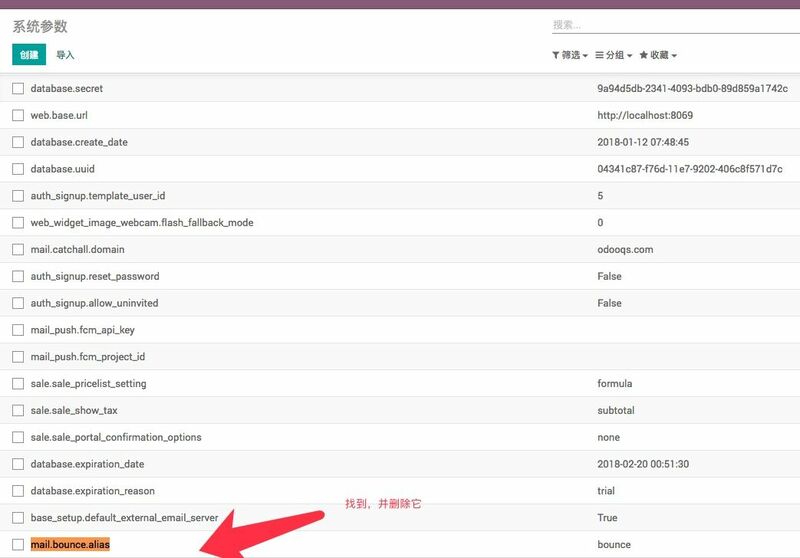 从以上可以得知 _get_default_bounce_address 发送邮件名来源于 mail.bounce.alias ,默认值是postmaster-odoo.